Hotelier and restaurateur Jeff Klein has opened ​No. 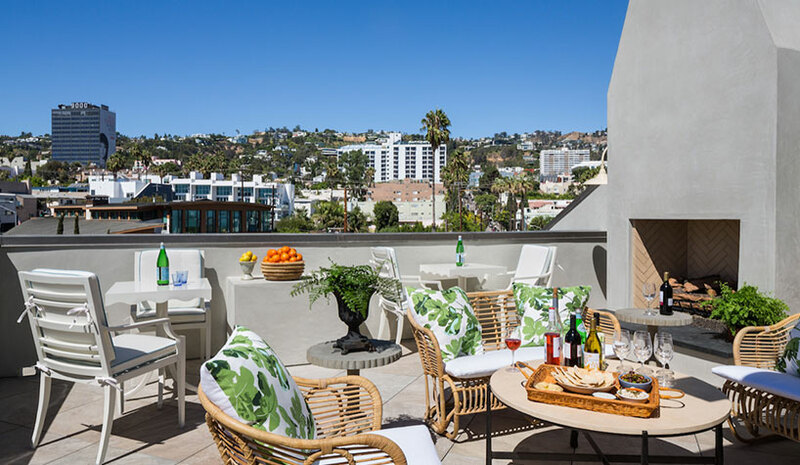 850​, a new boutique hotel in West Hollywood, CA. The 23-room property is Klein’s interpretation of Europe’s chic, residential-style hotels. No. 850 is the newest addition to JK Hotel Group’s hospitality collection. Together with architect Marc Appleton and London-based interior designer Rita Konig, Klein restored the property and its interiors. The space has a lobby lounge, a communal living space, large rooftop terrace and modern kitchen, all within this more than 10,000-sq.-ft. property. Marriott International’s TownePlace Suites by Marriott San Antonio Westover Hills is set to open on Oct. 3. The 93-suite hotel will operate as a Marriott franchise, owned and managed by Vue Hotels LLC of San Antonio. This new property offers studio and one ­bedroom suites with fully equipped kitchens, as well as separate living/working and sleeping areas. Amenities include an outdoor pool, fitness room, meeting space, laundry facilities, free WiFi and business center. The TownePlace Suites San Antonio Westover Hills is located close to San Antonio International Airport, downtown and offers guests access to SeaWorld/Aquatica, Lackland Air Force Base and Six Flags Fiesta Texas. The Delta Hotels by Marriott Phoenix Mesa location is set to open this month. The hotel has 274 rooms and suites, more than 45,000 sq. ft. of meeting space, a fitness center, pool and a new modernized lobby with a Starbucks and cocktail bar. In addition, the property is adjoined to the Mesa Convention Center with more than 56,000 sq. ft. of flexible meeting and event space. The hotel is close to Sky Harbor International airport. Sigma Hospitality is set to open the 106-room Home2 Suites by Hilton this month in Warminster, PA. The hotel is located close to Horsham and Philadelphia along with the Pennsylvania Business Campus. Amenities will include the indoor pool, outdoor terrace, market, fitness center, laundry and free WiFi.